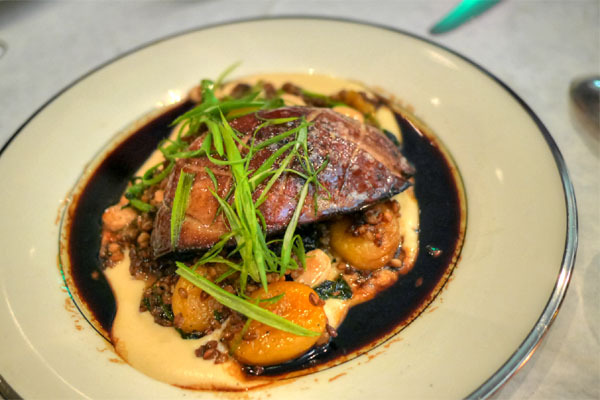 One of the buzzier places to bow in recent times is no doubt Terrine, which has taken over the address of the middling Sirena. 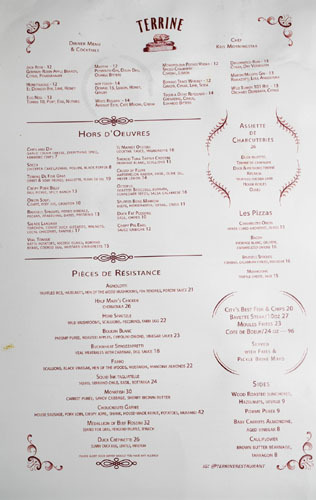 The restaurant is the work of Chef Kris Morningstar, Stephane Bombet, and François Renaud (The Tasting Kitchen, Palate, Café Stella, La Cachette), who serves as Managing Partner and Wine Director. Also on board are investors Brett Gurewitz of the band Bad Religion as well as actor Jesse Tyler Ferguson of Modern Family fame. 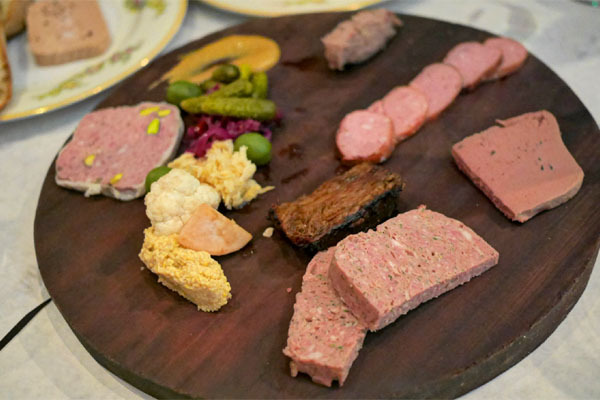 Terrine is billed as a California brasserie of sorts, so food-wise, expect Cal-inflected renditions of Continental-ish classics. About the Chef: Born and raised just outside of LA in Redlands, Kristopher Morningstar first got interested in cooking after watching his father in the kitchen, and by the time the family moved to New Jersey during his teenage years, he had already made a habit of putting together elaborate meals. After leaving Mountain Lakes High School in 1997, he entered the University of Maryland and graduated in 2001 with a degree in marketing. However, Morningstar soon decided that he want to cook for a living, and wound up enrolling at the California School of Culinary Arts in Pasadena. He completed his culinary degree in 2002, and quickly took a job at One Pico, the restaurant at Shutters on the Beach in Santa Monica. From there, he moved to Suzanne Goin's AOC, Opaline with Jason Travi, and Neal Fraser's Grace. In March 2004, he took a tournant position at Patina, then under Theo Schoenegger's watch. After just seven months, Morningstar went to work for Schoenegger's predecessor Eric Greenspan at the newly-opened Meson G (now the site of the departed Hatfield's). He stayed until March the next year, and that December, found his first Executive Chef gig at Casey's Irish Pub in Downtown. Following, at age 28, he became chef at Blue Velvet when it opened in November 2006, and was even nominated by James Beard in 2008 for his work there. Morningstar left shortly thereafter in February--ostensibly after management changed the direction of the restaurant--and, after a project at L.A. Live fell through, found a consulting position at Steven Arroyo's 750mL wine bar in South Pasadena. His next job was that of opening Executive Chef at Downtown's Casa Cocina y Cantina, which launched in January 2009. 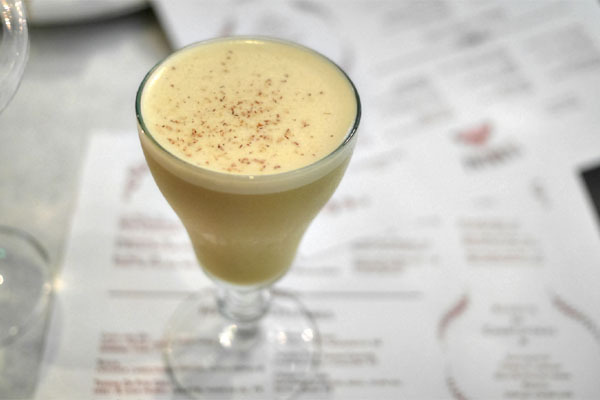 That stint lasted only a few months, as he soon teamed up with George Abou-Daoud and debuted The Mercantile in November that year, with adjacent restaurant District opening the following March. He was out by October, however, and re-joined the Patina Group as Executive Chef of Ray's & Stark Bar inside LACMA, which bowed in March 2011. 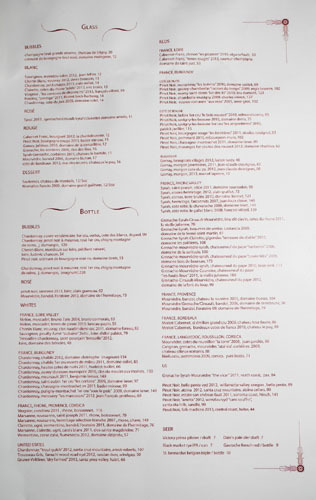 The mid-century eatery was a reasonable success, and even garnered Esquire's "Best New Restaurant" award. Seemingly content in his longest-tenured position thus far, Morningstar appeared on Ilan Hall's Knife Fight in August 2013, facing off against Girasol's Chris "CJ" Jacobsen (his replacement at The Mercantile, coincidentally). Though he was deemed the loser by judges Lou Amdur and, interestingly, his now-partner Brett Gurewitz, he would eventually become a regular judge on the show. Perhaps spurred on by this newfound stardom, he left Ray's in May 2014, replaced by his CdC Viet Pham (the two first met at Casey's). 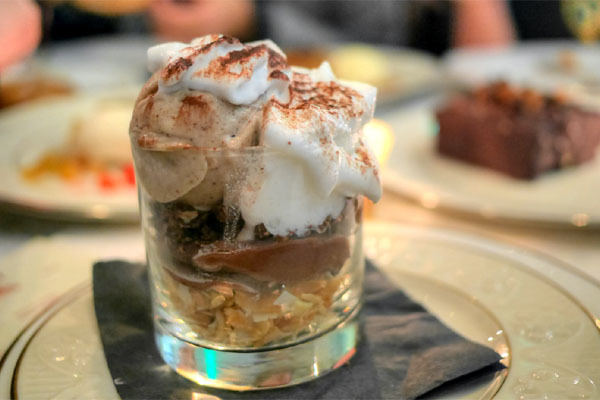 The Chef subsequently ran a weekend brunch series at The Gorbals, then joined the team at Terrine in October. Sirena's somewhat garish dining room has been thankfully stripped down to a more charming, old school aesthetic. The space seats about 60, while another five dozen or so fit in the back patio, which has fortunately survived relatively intact. 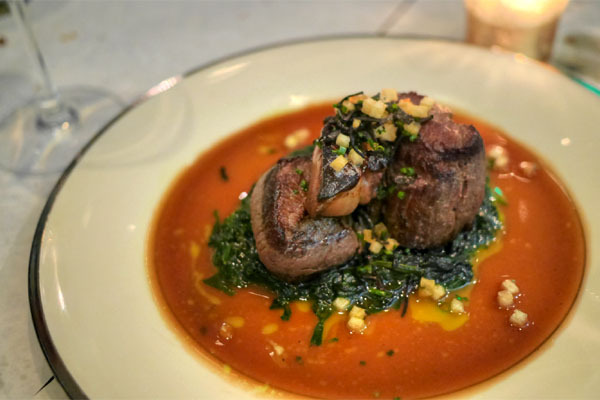 As for Terrine's menu, it's pretty much a Cal-French-Italian affair, divvied up into an array of small plates and the prototypical progression of pastas/pizzas/mains/sides. 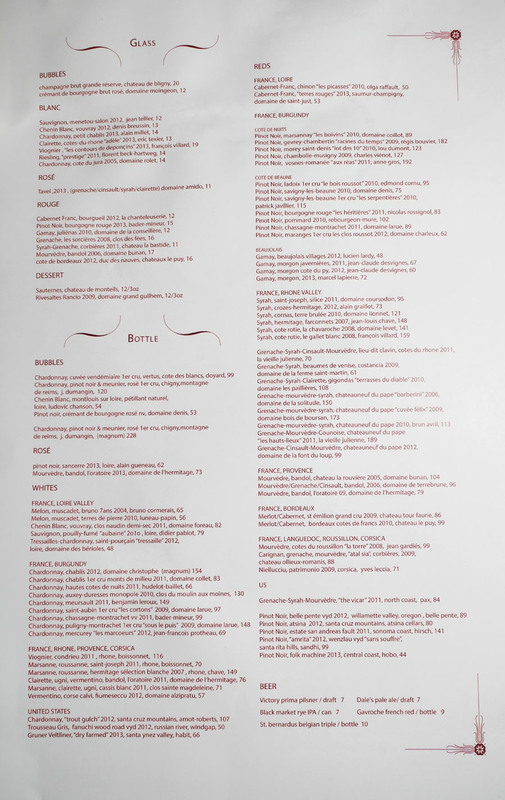 To imbibe, Renaud and Sommelier Fahara Zamorano have got a French-leaning wine list going on (corkage, if you're interested, is $25), while spirit-centric cocktails are the work of barman Ryan Wainwright, also a vet of The Tasting Kitchen. Click for larger versions. I'm quite the fan of the nog, so I had to start with Terrine's version. It was one of the best I've had: super aromatic, with plenty of sugary spice on the nose, creamy on the palate, and with the sweet heat of the booze coming in toward the back end. Duck Rillettes - Appropriately supple, with a super savory relish and loads of ducky goodness. Kielbasa - Delightfully smoky and snappy, finishing with a slight spice. Truffled Chicken Liver - Earthy and smooth, with just a hint of truffle overarching the elegant flavors present. Terrine de Campagne - Gritty and rustic to the bite, while taste-wise I found it nicely peppery, with a lingering spice. Beef Deckle - A.k.a. rib eye cap; smoky and almost BBQ-esque, with a palpable fattiness to it. Duck & Pistachio Terrine - This one did a great job showing off the duck while the pistachios added a nutty, crunchy counterpoint. Next to drink was an interpretation of the classic Jack Rose. Think fruity and apple-forward initially, with the citrus coming in later and leading to a close that emphasized the brandy. Of course, with the recent repeal of the foie gras ban, restaurants are jumping at the chance to utilize the ingredient. 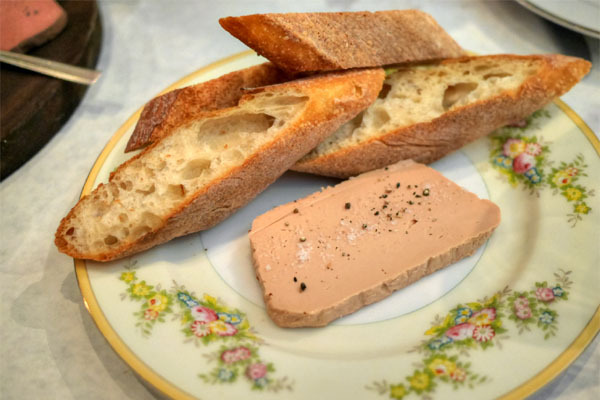 The terrine is arguably the most traditional of preparations, and this was pretty much a spot on example of the delicacy, perfectly smooth and spreadable and showing off the rich flavors of the liver with a lot of finesse, augmented by just a pinch of salt and pepper. I would've liked a warmer, crustier baguette though. 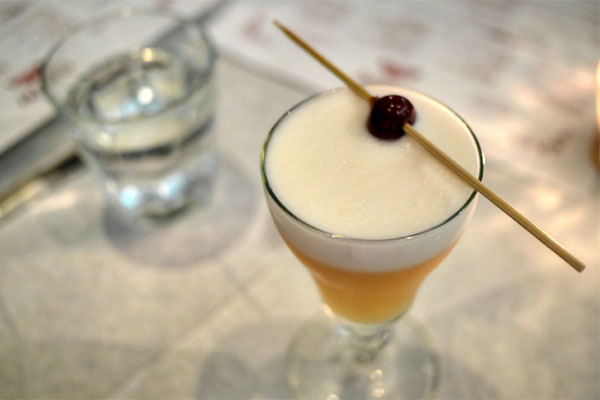 I was a fan of Terrine's take on the whiskey sour. 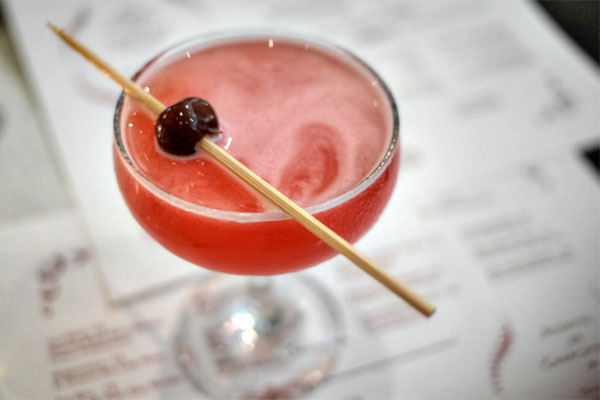 Superb aromas of cherry and floral vanilla led to a balance of boozy and sour flavors, with the egg whites adding a moderating element to the drink. Delish. 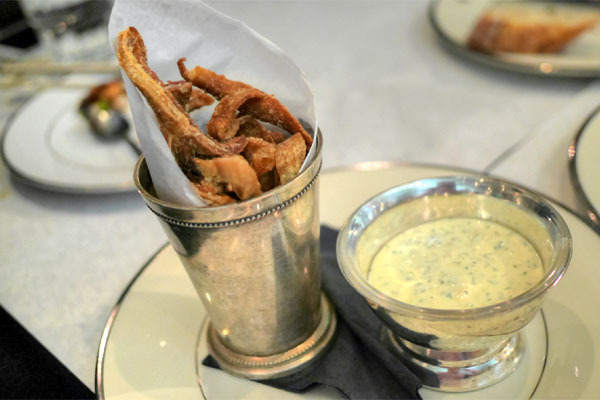 Chips were crispy and salty and all that you'd want. The key here, though, was that cream cheese dip, which was wonderfully light, almost fluffy, and imbued with a great touch of spice. Taken all together, the effect was akin to a fancified version of good ol' sour cream 'n' onion. 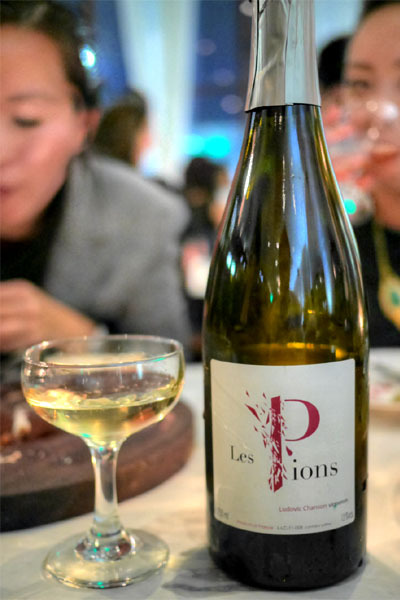 At this point, we moved from cocktails on to the Chenin Blanc, montlouis sur loire, pétillant naturel, loire, ludovic chanson, 2011 [$54]. This was a breezy, lightweight sparkler, bright and acidic, with plenty of apple backed by a chalky minerality. 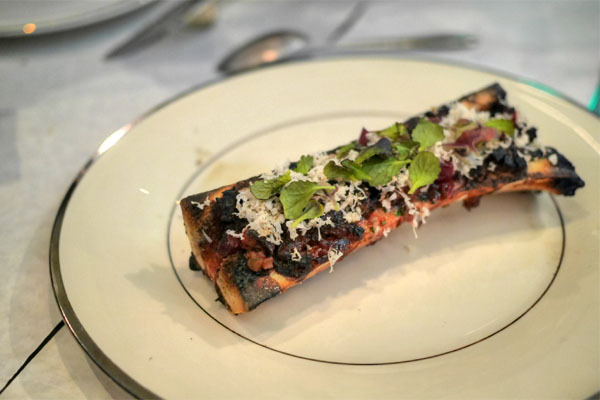 Bone marrow was super beefy thanks to the oxtail, with its dark flavors offset by the incorporation of beets and cress. Texturally, this was chunky and almost crispy, and I missed the slick, unctuous consistency usually found with marrow. Regular readers will know that I can't resist octopus, and here it arrived toothsome and tender, with a great bit of charring. 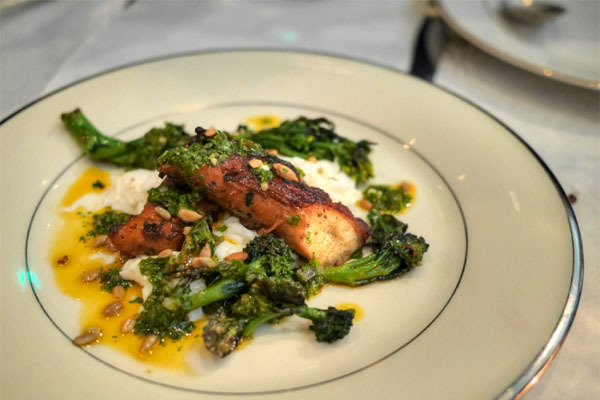 The interplay between it, the broccoli, and the creamy burrata was smart, and I appreciated the subtle undercurrent of heat imparted by the Calabrese sauce as well. I always have to get the pig ears, and tonight they came out super crunchy, yet slightly gelatinous, with a straightforward savoriness to 'em that paired beautifully with the herb-y zing of the included condiment. Time for some beer we brought. 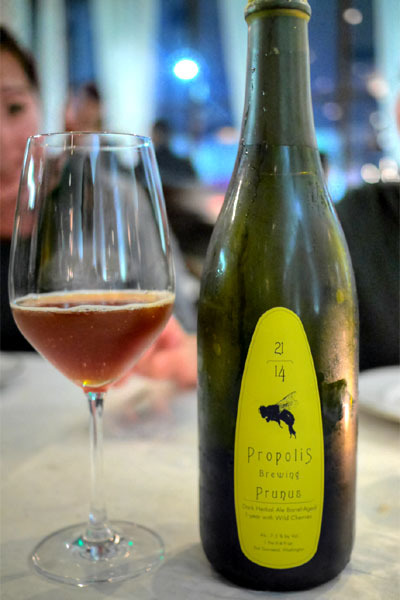 The 2014 Propolis Prunus was a dark ale brewed with herbs and aged a year with wild cherries. There was quite a bit going on with this one. I got a bouquet of oak, tart cherry, and roasty malt, while taste-wise, think acidic and vinous, with dark fruit and spice all wrapped in a dry, tangy package. Morningstar then sent out a surprise dish of foie gras. It was a commendable example of a hot preparation of the ingredient, with the liver coming out well-cooked, well-charred, and as rich and luscious as you'd want. 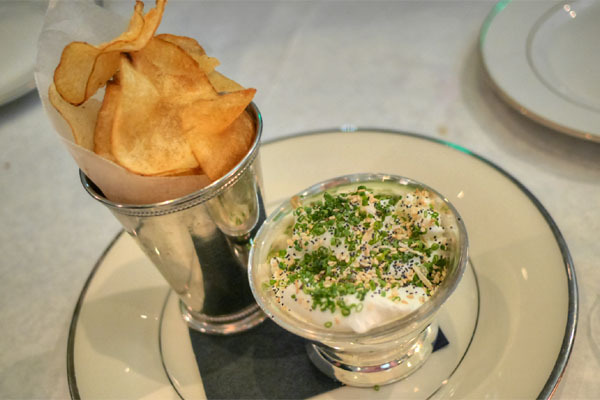 The foie stood alone, but the accompaniments here certainly elevated things. Texturally, I loved the crunchy bits, and the astringency provided by the scallions was a fitting accent piece. 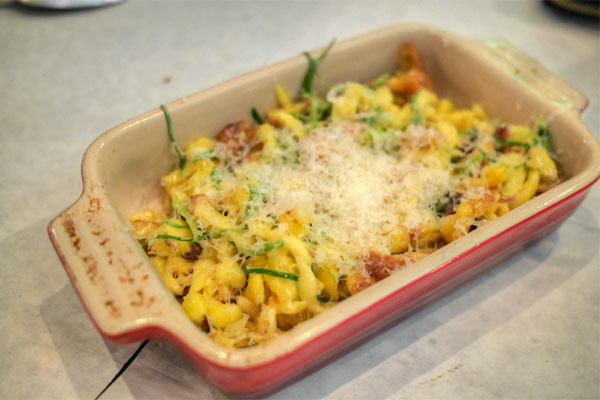 Our first of two pasta dishes brought out some of the tastiest spätzle I've had in a while. Great texture on the noodles here, and the additional weight of the mushrooms and cheese was much appreciated as well. I was a big fan of the green onion, too, which added a counterbalancing bitterness to the dish. 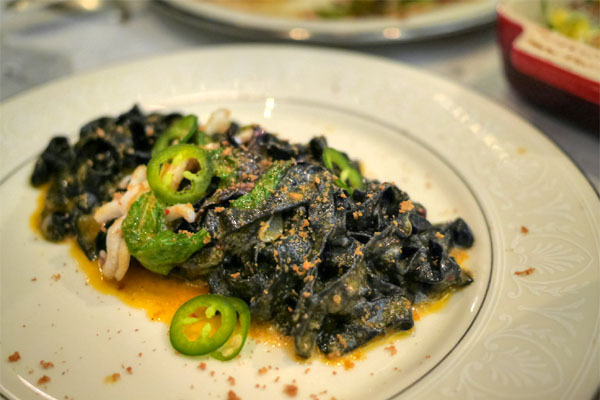 Tagliatelle was rather enjoyable, with the squid and bottarga adding a lovely bit of salinity to the dish while the serranos contributed a touch of creeping spice. I liked the basil aromatics too, but I wanted a firmer consistency on the noodles. 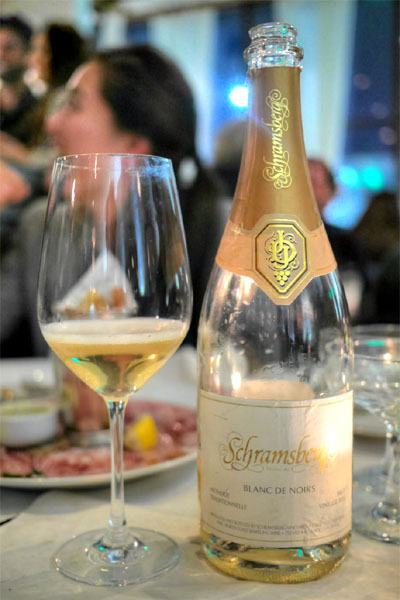 Michael Nemcik (who, coincidentally, was the somm at Sirena) happened to stop by our table during the meal and had along with him a bottle of 2010 Schramsberg Vineyards Blanc de Noirs Brut. The wine wasn't quite what I was expecting. I found it more austere than anticipated, with lots of citrus on the nose, tinged by just a hint of berry fruit. I tasted more fruit and lots of acidity, along with an earthy, almost funky aspect that I couldn't quite put my finger on. 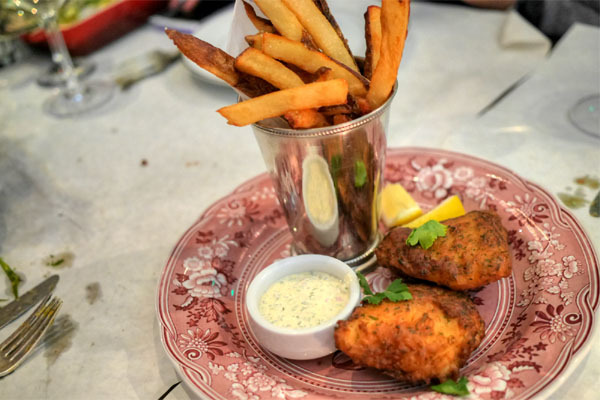 Deeming this LA's best fish 'n' chips is a bold claim, but Morningstar just might be on to something here (after all, he had plenty of time to perfect his recipe over at Casey's). It was certainly one of the strongest I've had, with the rock fish arriving light, airy, and flaky, yet moist, with a delightfully crisp, non-bready crust. The key, though, was to eat it with the included tartar sauce, which was just about flawless, all creamy, tangy, herb-y, and addictive. The fries were also rather tasty, nicely thick and substantial, with a comforting flair to them. We ended our savories with a rendition of Tournedos Rossini, that classic standby of filet mignon topped with foie gras. The meat was cooked to a proper temperature, though, given that it was filet, didn't offer up much in terms of robust flavor. As such, the foie was really key here, adding a richness that pervaded the dish. Also crucial was the spinach, which imparted a bitterness that helped balance out all the hefty flavors present. 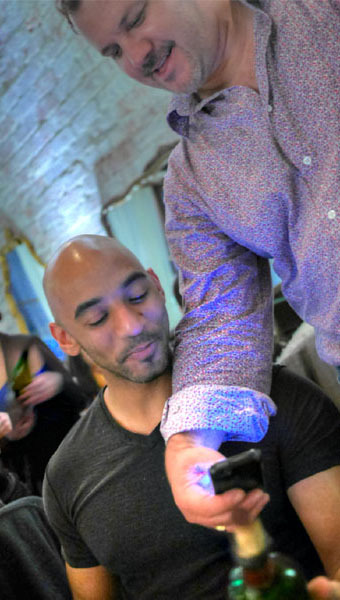 At this point, we were joined by noted wine professional Christopher Lavin, whom I first encountered over at Michael Mina's XIV (now Hyde Sunset) back in the day. 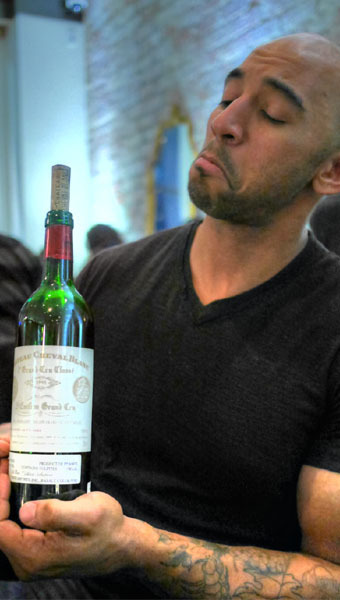 He brought along with him a bottle of 1995 Château Cheval Blanc and we were eager to drink up the remaining dregs (from a glass originally poured for Stephane, actually). It was my first Cheval Blanc, and I found it really well-balanced and surprisingly easy-drinking, with a softness to it that presented the fruit in the wine in a delicate manner. 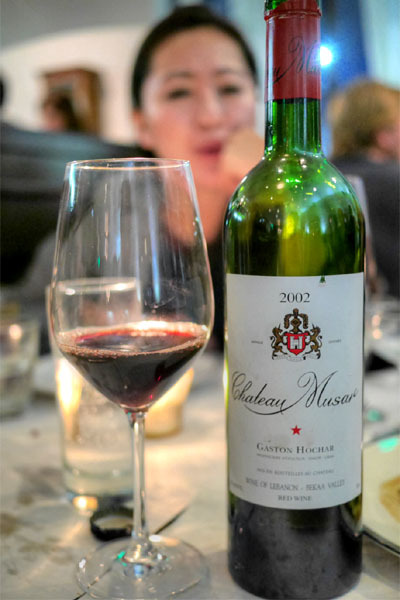 Lavin also gave us a taste of his 2002 Chateau Musar, which was actually more interesting. I got loads of fruit on the nose, along with some sweet, almost chocolate-y notes. In terms of taste, there was more fruit and more spice, balanced by a restrained acidity and some nice tannins. 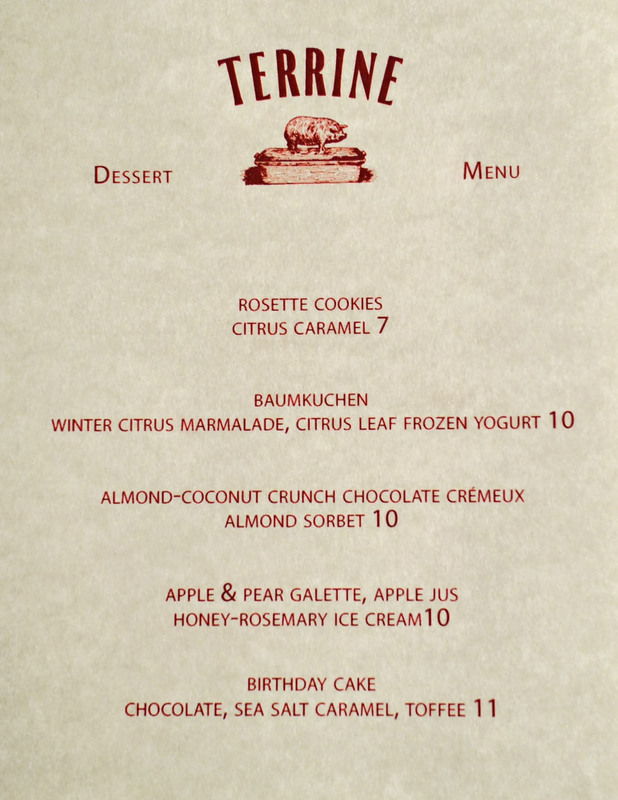 We made sure to order one of each dessert. 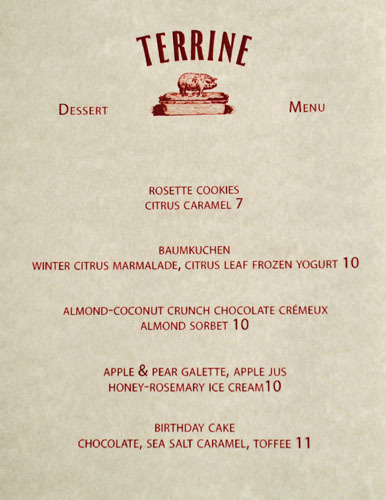 Interestingly, Sahar Shomali (whom we last saw at Fifty Seven) helped open the restaurant, but has since decamped to work with Suzanne Goin, leaving Terrine without a pastry chef. Click for a larger version. 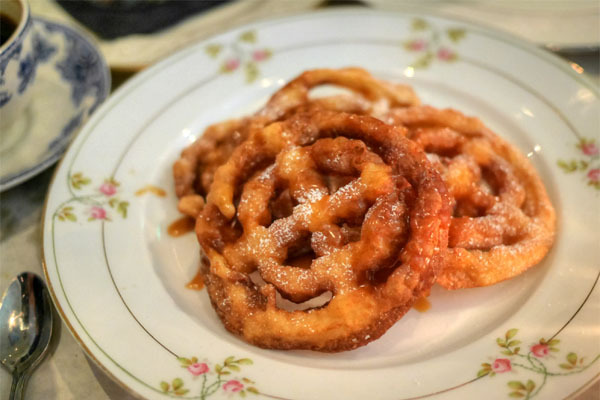 Deep-fried Scandinavian cookies were crisp and crunchy (though perhaps a touch overdone), with a sugary caramel richness perked up by a smidge of citrus. I'm not sure why this was called a Birthday Cake, since it was quite unlike any such cake I've had. 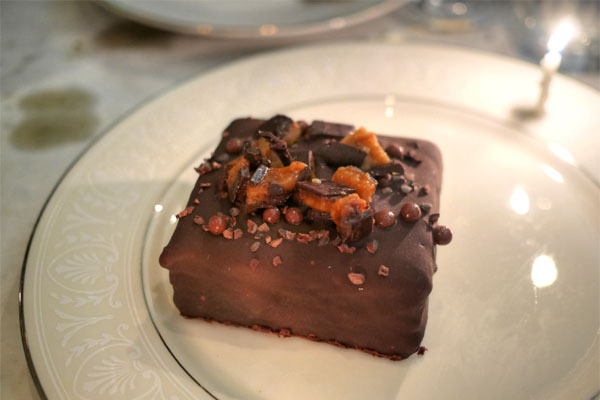 That being said, it was still quite good, with its dense layers augmented by the chocolate and the array of crunchy, nutty, savory bits on top. The galette, on the other hand, wasn't quite as successful, as I found it on the dry side, though I did enjoy the almost bracing, herbal ice cream on the side. 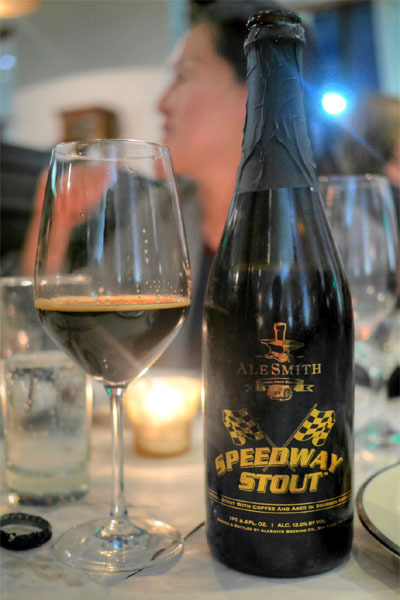 To go with dessert, we opened up an appropriate beer, the 2012 AleSmith Bourbon Barrel Aged Speedway Stout, an imperial stout brewed with Ryan Bros coffee and aged in bourbon barrels. This one was super smooth, with flavors of chocolate, coffee, and roast commingled with oak and vanilla from the barrel aging. Fruity and nutty with lots of coconut here, along with some nice textural play. It could've used more of a forceful chocolate presence though, to even things out. 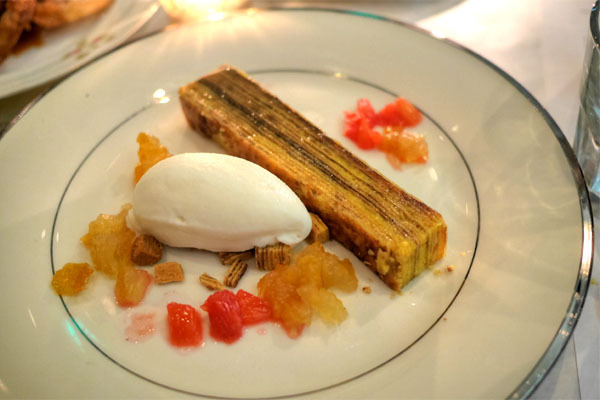 The baumkuchen was somewhat reminiscent of Shomali's version at Fifty Seven. It ate very well, with the fruity, fragrant flavors really working with the zesty nuances from the frozen yogurt. 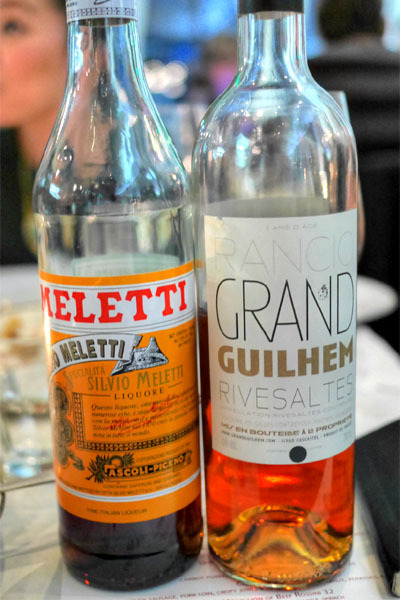 Zamorano poured us a couple digestifs to close: shots of the herby, aromatically bitter Amaro Meletti and the fruity, spicy, long-lingering Rivesaltes Rancio 2009, domaine grand guilhem. 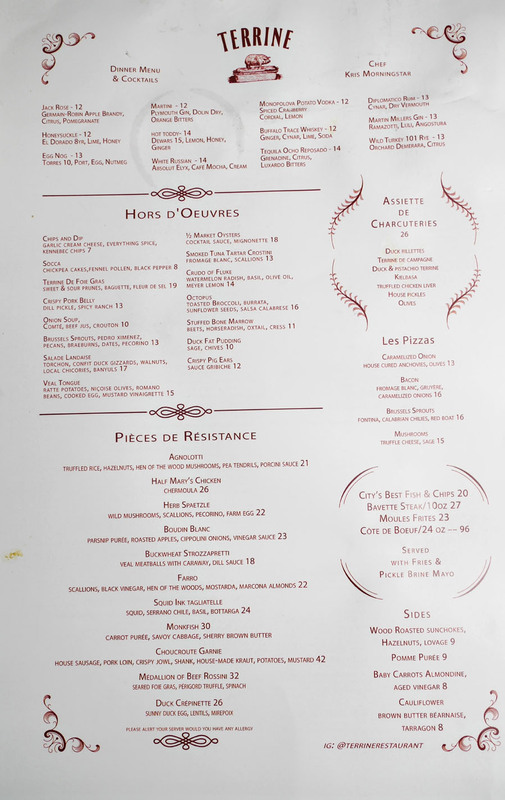 From the outset, Morningstar and company set out to create their interpretation of the brasserie, and to that effect, their efforts are mostly successful. 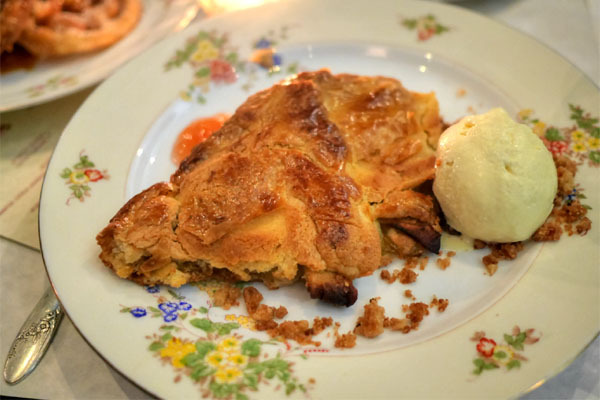 The food captures the core of classic French cookery, but presents it with a Californian slant that's approachable, but still interesting enough. Terrine's a drastic, drastic improvement over what occupied this space before, so hopefully Morningstar's finally found a place where he can really settle into. Personally, I found the Fish and Chips to be pretty disappointing. I find The Golden State's version far superior.